Europort OOD, the official agent of Damco International for Bulgaria, organizes the import and export container handling in the Varna and Burgas seaports of the largest container carrier in the world, including the customs representation, the transiting, the containerization and de-containerization in these two seaports, the organization of deliveries and the pick-ups of shipments in the whole country, the sea freight forwarding with a focus on full container loads, the management of the supply chain for global customers of Damco International. Europort has its own warehousing areas under customs control at the Sofia Airport and in Stara Zagora with segregated specialized premises for the handling, storage, and dispatching of dangerous cargos. 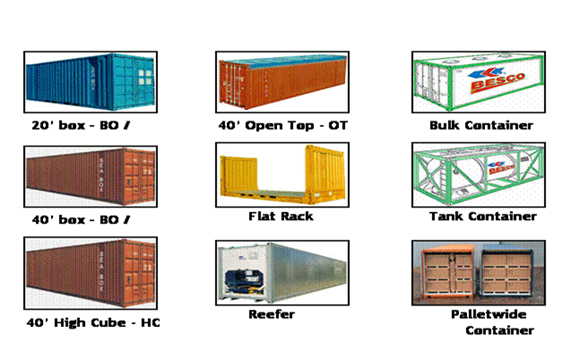 The company provides all types of customs representation and customs warehousing services. The Europort team maintain a high level of professional qualification by systematically updating their knowledge in the fields of air and sea transport, getting certified according to the standards of international and national organizations such as IATA, FIATA, NSBS, and other similar organizations. Europort works in an integrated manner with the rest of the firms within the EUROSPED Group, which leads to flexibility in terms of the transportation services being offered, optimization of the costs, and the meeting of various transportation and logistical needs. The Europort policies are aimed at the customer, their purpose being to offer the best possible customer service. Therefore, you can rest assured that we are going to listen to you with great attention, and we will quickly offer you an optimal solution under mutually advantageous conditions. We believe this is the only way we could maintain stable, transparent, and long-term relations with our customers, partners, and suppliers. Damco International is a global logistics company (among the Top 10 of the logistics organizations in the world) specialized in the transportation of sea containers and the management of the supply chains of large international firms as well as serving the transportation needs of small import and export oriented businesses. Damco operates on the global market with more than 300 company-owned offices in more than 100 countries, with a staff of more than 10,000 employees worldwide, and with a network of more than 500 partners. The firm serves the logistical operations in sectors such as retail trade, fast moving goods, electronics, the chemical industry, defense, mining, and so on. More than half of the companies included in the Global Fortune 100 list are Damco customers. Europort is a daughter company of the Bulgarian company Eurosped AD. Europort has a narrow specialization in the handling of full sea containers for import and export in the seaports of Varna and Burgas (including customs representation, transiting, containerization, and de-containerization in both seaports, as well as organizing deliveries and pick-ups throughout Bulgaria). In collaboration with the other subdivisions of the Eurosped Group, Europort carries out all the activities related to the complete logistical serving of the Bulgarian and of the global transportation and logistics market.